Vancouver customers now have non-stop service to the Emerald Isle thanks to Air Canada Rouge. VANCOUVER, BC and DUBLIN - Air Canada's inaugural flight AC1940, from Vancouver departed last Friday afternoon, marking the only non-stop service linking Vancouver and Ireland. Air Canada Rouge brings their hallmark customer service excellence to these seasonal flights between Vancouver and the Irish capital city, which operate three times weekly until October 8 with Boeing 767-300ER aircraft. "We are pleased to add the only non-stop flights from Canada's West Coast to Ireland. This route offers convenience to Western Canadians travelling to visit and explore the Emerald Isle's rich landscapes, world-class golf and historic sites, as well as to Irish customers visiting the spectacular attractions Vancouver and British Columbia offer," said Benjamin Smith, President, Passenger Airlines at Air Canada. "YVR's customers now have non-stop service to the Emerald Isle thanks to Air Canada Rouge," said Craig Richmond, President & CEO, Vancouver Airport Authority. "This new service will connect Vancouver to a country known for its natural beauty, amazing history and rich culture. It will also open new opportunities for European businesses and travellers, connecting them to our world-class city and airport." 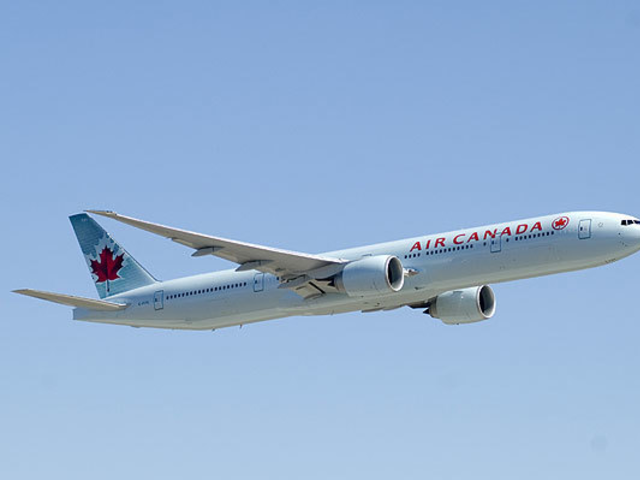 Flights are timed to optimize connectivity to and from Air Canada's extensive BC regional network through the airline's Vancouver hub. The new Vancouver-Dublin service is part of Air Canada's ongoing international expansion this year, following the recent launch of Vancouver-Brisbane, Montreal-Casablanca, Toronto-London Gatwick and Toronto-Prague. "We continue to strategically expand our Vancouver hub, and our seasonal Dublin flights follow our recent launch of non-stop flights from Vancouver to Brisbane, San Diego, Chicago, San Jose, and the doubling of our daily flights to London Heathrow." said Benjamin Smith, President, Passenger Airlines at Air Canada. This summer, Air Canada will also launch new international services between Toronto-Budapest, Toronto-Warsaw, Toronto-Glasgow, Toronto-Seoul, Montreal-Lyon and later this fall, Vancouver-Delhi. Last year, Air Canada launched new international services between Toronto-Delhi, Toronto-Amsterdam, Toronto-Dubai, Montreal-Venice, Montreal-Mexico City and Vancouver-Osaka.